The Chinese finger trap is traditionally made of bamboo, but this amusing toy can be easily crafted from an ordinary sheet of paper. Put your finger in this pretty paper tube and then try to pull it off. The harder you pull, the tighter the weave becomes. You’re trapped! Even the Star Trek character Data was ensnared by this ancient toy. To escape, all you need is a soft touch. Push it gently off your finger, rather than yanking on the other end, and it slips right off. This traditional toy is also very quick and easy to make! You can download free, printable instructions buy clicking on the button below, or scroll down for online instructions. Support Make Anything Pop-Up by naming your price, or download printable PDF instructions on how to make a Chinese finger trap for free. 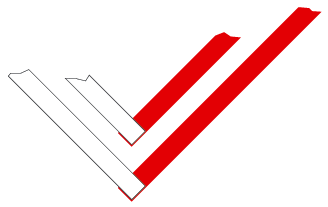 Standard sized paper (letter or A4) in contrasting colors if desired. A wooden dowel, rod, or pencil which is just a little narrower than your finger. You can also roll a sheet of paper and tape it to create a stiff form of a suitable width. Cut 4 strips of paper, 1/2” wide (or 13mm) along the long edge of your sheet of paper. Make two L shaped pieces by gluing two strips together at a 90° angle. 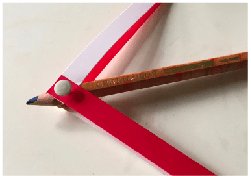 Temporarily attach the L shaped strips of paper to the opposite sides of your dowel using thumbtacks or removable tape. 4. Weave the strips together as shown below, tightening them lightly around your form as you go. 5. 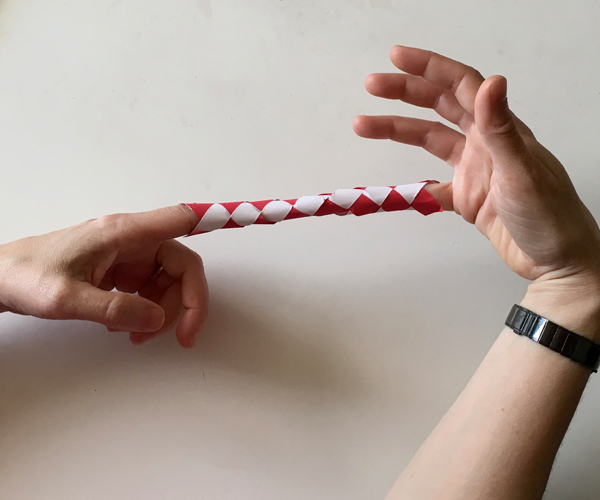 When you have woven the finger trap to the desired length (about 5 1/2” or 14cm), glue the strips together, on two opposite sides, where they overlap. 6. Remove woven paper from the form, and cut off the excess paper strips. This entry was posted in easy, Free, Paper craft and tagged paper toys by KB. Bookmark the permalink.